Utilities Included: (user reports): Not all. 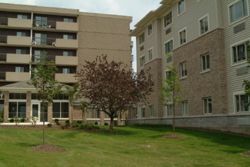 Cedar oaks is a disabled low income housing apartment subsidized by the federal governments hud (housing and urban development division). Contact cedar oaks for complete details on the current vacancies and housing applications. Sahara apartments is a family low income housing apartment subsidized by the federal governments hud (housing and urban development division). Contact sahara apartments for complete details on the current vacancies and housing applications. 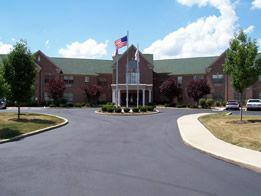 Plaza apartments is a senior low income housing apartment subsidized by the federal governments hud (housing and urban development division). Contact plaza apartments for complete details on the current vacancies and housing applications. 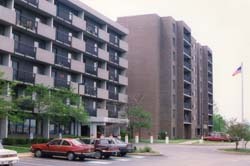 Canton towers is a senior low income housing apartment subsidized by the federal governments hud (housing and urban development division). Contact canton towers for complete details on the current vacancies and housing applications. Village garden is a family low income housing apartment subsidized by the federal governments hud (housing and urban development division). Contact village garden for complete details on the current vacancies and housing applications. Somerset iv is a family low income housing apartment subsidized by the federal governments hud (housing and urban development division). Contact somerset iv for complete details on the current vacancies and housing applications. Somerset iii is a family low income housing apartment subsidized by the federal governments hud (housing and urban development division). Contact somerset iii for complete details on the current vacancies and housing applications. Somerset ii is a family low income housing apartment subsidized by the federal governments hud (housing and urban development division). Contact somerset ii for complete details on the current vacancies and housing applications. Somerset i is a family low income housing apartment subsidized by the federal governments hud (housing and urban development division). Contact somerset i for complete details on the current vacancies and housing applications. Margate is a family low income housing apartment subsidized by the federal governments hud (housing and urban development division). Contact margate for complete details on the current vacancies and housing applications. Kingston is a family low income housing apartment subsidized by the federal governments hud (housing and urban development division). Contact kingston for complete details on the current vacancies and housing applications. Chip townhouses ii is a family low income housing apartment subsidized by the federal governments hud (housing and urban development division). Contact chip townhouses ii for complete details on the current vacancies and housing applications. Chip townhouses i is a family low income housing apartment subsidized by the federal governments hud (housing and urban development division). Contact chip townhouses i for complete details on the current vacancies and housing applications.